At our firm, we have a number of qualified and professional residential real estate lawyers who can offer our clients a wide range of residential real estate law advice and services. If you are in the property market we are here to help. MM Law’s residential real estate lawyers can assist you in both buying and selling residential properties and refinancing existing mortgages. We are available to help facilitate all of the necessary steps in dealing with the purchase or sale of your property. We want to ensure that you get the best deal possible and are satisfied with the outcome. When you have entered into a purchase or sale contract, our residential real estate lawyers want to ensure you receive the best legal representation throughout the transaction. When you deal with MM Law, you know you will be receiving personally committed service. For any individual that is in the process of buying or selling a house the time can be stressful for all involved. Our Calgary law firm is here to help by facilitating and making the process a smooth road for everyone that is involved. We provide services in many areas of real estate including setting up purchase and sale agreements between all parties involved. We will tend to contracts in relation to lease and related agreements. When preparing for a new home take advantage of our professional and efficient mortgage, loan and financing agreements. If you are building a new home MM Law’s residential real estate lawyers will prepare all of the paperwork for construction contracts and we will help resolve any zoning and environmental matters. The purchase of a home is a major step in your life. After you have entered into a purchase contract, you will need a residential real estate lawyer to assist you with all of the necessary steps involved in such a transaction. Our lawyers and staff are committed to providing you with the best service throughout this process. 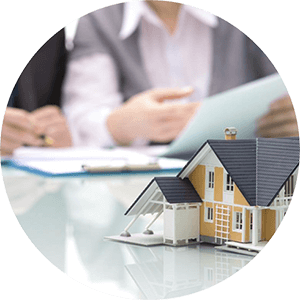 Our real estate lawyers are dedicated to ensuring the sale of your home or condominium, which includes paying out any mortgages, is completed efficiently and on time. If you are refinancing your home with the same lender or a different lender, we are here to assist you to ensure the transition is as seamless as possible.